Tuesday’s defeat by Paris St-Germain should not define Manchester United’s season, or decide whether interim boss Ole Gunnar Solskjaer gets the job permanently. Yes, it was a disappointing defeat on a flat night at Old Trafford, but that is not a reflection on Ole – more a reminder of how far this United team is from being a side that can win the Champions League. Realistically, they were never going to win the Champions League anyway but what they can achieve is finish in the top four of the Premier League, and continue their progress in the FA Cup. That has to be the focus now. Their final league position, in particular, is what actually will define United’s season and I am sure that is the way Ole will look at it too, when he decides on his priorities in the next few weeks. I think Ole should get the job on a full-time basis based on what he has done since taking charge – not just with his fantastic results but because of the way he has changed the whole outlook of the club. 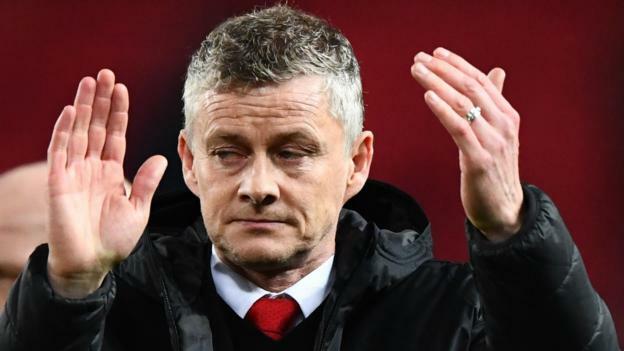 I don’t think there is much that Solskjaer could have done differently against PSG, and he was not helped by having Martial and Lingard both forced off. People have said Solskjaer has enjoyed the rub of the green in his first few weeks in charge – but he was very unlucky there. Injuries to two of United’s fastest players, at virtually the same time before half-time, took a lot of speed out of their team down the flanks, and disrupted their rhythm. I would say a maximum of two – Pogba and David de Gea – which tells you how far United are away from mounting a serious challenge in the Champions League. Pogba has been the best player in the Premier League since Solskjaer took charge, and he has played a key role in setting up so many of United’s goals as well as scoring some himself. But Tuchel recognised he was United’s most influential player and used Marquinhos to nullify him completely. That took away the threat of his service to Marcus Rashford and meant Pogba had no space to impose himself on the game. He was so frustrated with his inability to get forward effectively or dictate play from deep that he ended up getting himself sent off late on. United tried to find another way through by putting crosses into the PSG box but Thiago Silva and Presnel Kimpembe, two of the French side’s centre-backs, took up some fantastic positions and dealt with every single ball. Having a solid back-line like PSG’s would make such a difference to the whole team and it is possible they could do that by making only one signing. What they need is a player who is going to have a positive impact on the players around him, in the same way Virgil van Dijk’s arrival has transformed Liverpool’s back four. It is no different to what Mourinho said in the summer, when he wanted to buy Bayern Munich’s Jerome Boateng and Leicester’s Harry Maguire. He knew United were short there, and they still are. Phil Neville was speaking to BBC Sport’s Chris Bevan.